Our dear friend, husband, father, son, brother and all around good guy and hero, Steven Douglas Goodwin, age 71, passed away at home on Thursday, September 6, 2018 after a five year courageous battle with cancer. He now joins in heaven his father Jack L. Goodwin, Sr., and brothers Jack L. Goodwin, Jr. and Russell W. Goodwin. He is survived by his wife of 43 years Barbara Getgood Goodwin; daughter, Alisa Goodwin and husband, Tim; mother, Barbara Obenshain Goodwin; sister Jody Newman; numerous nieces and nephews; and so many, many friends. Steve was a veteran of the U.S. Army. He originally was a member of the 6th Military Police Co. of the 11th Lt. Infantry Brigade Scholfield Barracks Hawaii in 1966 then went to Viet Nam in 1967-68 where he was promoted to Sgt. E-5 with the 148th Military Police Platoon. Upon returning home, he spent countless hours over the next 50 years dedicated to veterans through personal interaction as well as through Vietnam Veterans of America (Chapter 81), Roanoke Valley Veterans Council, and was instrumental in the ground work for having the Virginia Veterans Care Center built in the Roanoke Valley. 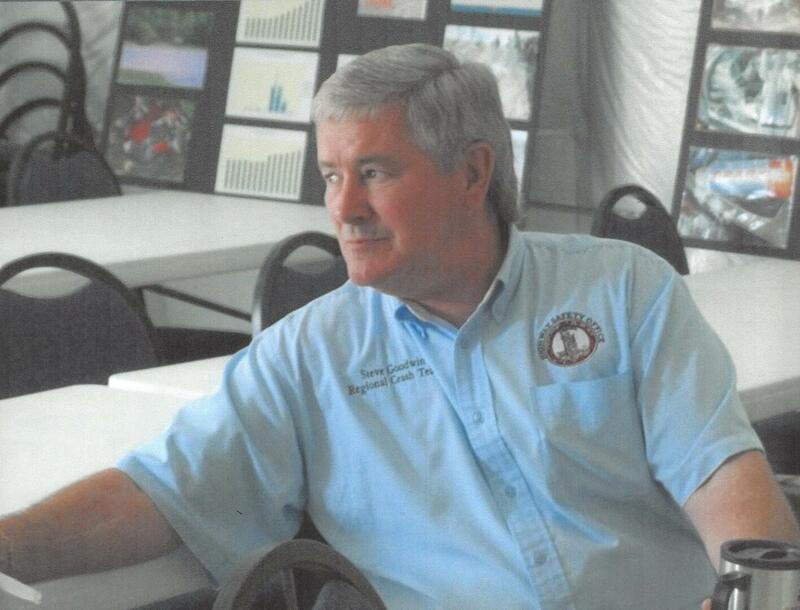 His working career placed him with the Vinton Police Dept., American Red Cross Blood Services as product manager, and for 26 years with the Transportation Safety Office through DMV where he was awarded the J. Stannard Baker lifetime achievement award as a pioneer in traffic safety and crash prevention. Steve was a true family man who doted on his daughter, Alisa, spoiled his wife and loved his four-legged kids Lefty, Lucy, and Ouizer. He loved working around his home, camping with Lefty in the Captain America Mobile Retirement Command Center and spending time at New Freedom Farm with Maury the Mule (and the people). Steve dedicated himself wholeheartedly to any task undertaken and was greatly admired for his work ethics. Most of all, he will be remembered for his sense of humor and ability to always leave everyone laughing. He was a “once in a lifetime, never be another one like him” kind of person. A memorial service will be conducted at 3 p.m. on Thursday, September 20, 2018 at John M. Oakey & Son Funeral Home, Salem. The family will receive friends following the service until 6 p.m. In lieu of flowers, please consider donating to New Freedom Farm, P.O. Box 125, Buchanan, VA 24066 or through the website www.newfreedomfarm.net.